Matjaz wrote a blog post on his presence in ACTA debate in Slovenia. With multiple interviews, shows and a speech at a government organized roundtable discussion, Matjaz became an ad-hoc representative of our collective in front of the audience that we rarely interfere with. That is just awesome Matjaz! Congratulations, dude! But it’s not only Matjaz! Mozillians have been active all around Europe in the public debate on ACTA. Me and Staś have been both helping the civic NGO side on ACTA front in Poland, Otto in Estonia, and Bogo in Sofia, just to mention a few. 1) The whole generation of Mozillians who gained their experience by shaping local Mozilla communities in Europe are now becoming respected public figures precisely because of what we are doing at Mozilla project. For years we’ve been responding to what was needed, adapting to the changing landscape on the cross of the local and global Web, growing up to roles that had to be filed. It’s amazing to see that our experience and cred gained by fighting for the Open Web is now placing us in the spotlights when the future of the Internet is being debated. 2) We all seem to intuitively build our positions on a small set of principles that we wrote just a few years ago. I remember the time when Gerv has been driving the conversation at FOSDEM trying to isolate the limited set of statements and principles that unite us, Mozillians, and I even remember voices questioning the need for such a document arguing that we were successfully able to raise and grow our project without it. These days, the very first thing that we do when we face something that we intuitively feel is wrong for the Internet, is that we cross check it against the Mozilla Manifesto. We are united under this manifesto, it does work as a written summary of what we believe in and now it serves us as a point of reference when we face proposals that are not in line with the Internet that we want to see. Just take a look at Polish Mozilla Community position on ACTA, or read Matjaz’s speech. It grows far beyond what we originally expected and everyone who worked on this document should be proud now. I certainly am! It’s worth pointing out, that the community’s position is very rational, calm and stripped of the emotions that are driving most of the conversation these days. Polish PM, Donald Tusk, has said that Poland will not ratify ACTA if the there will be any doubts, and this statement by the community clearly presents those that are of vital importance for the information society. 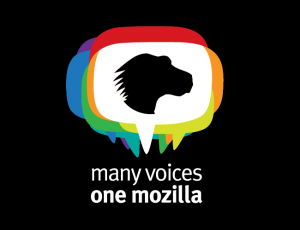 The statement written by the Mozilla community in Poland is important for yet another reason. Its authors are not connected to any market player. Mozilla Community is not an NGO or political organization. Usually, Mozilla and its community do not comment law related topics. Those are the people that usually avoid law related topics focusing on their great, a bit crazy vision. Apparently what has happened, made them feel they have to speak up. In cases like SOPA in US or ACTA in Europe, Mozilla DNA that has shaped all of us, is being injected and influences the debate in a profound way. The same vision that has shaped Firefox, Thunderbird, Drumbeat and tons of other projects and products, and through this influenced how the Web looks like today on both, technological and social layer, has also shaped our minds and beliefs, and through this is now impacting the public debate that is being held all around the world on the future of the Interent. p.s. We’re igniting a newsgroup devoted to the topic of digital freedom. Join us there!